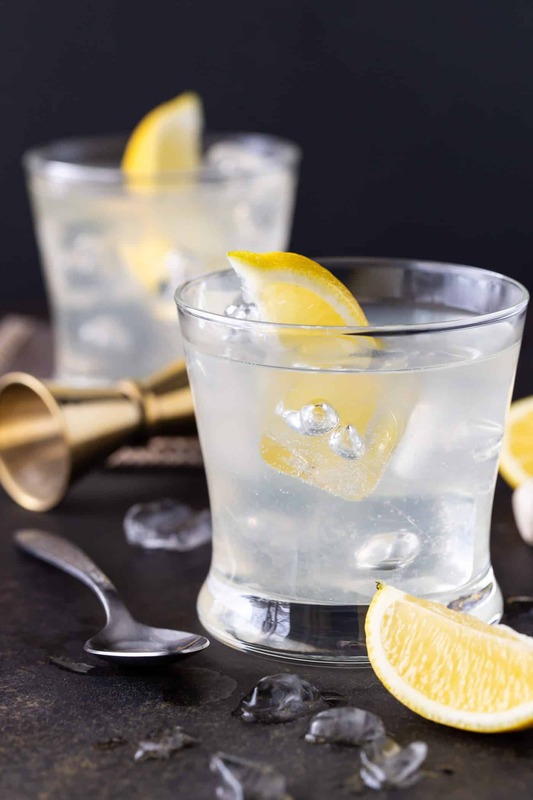 Just say no to boring vodka soda cocktails with this easy, 4-ingredient Elderflower Vodka Soda recipe! 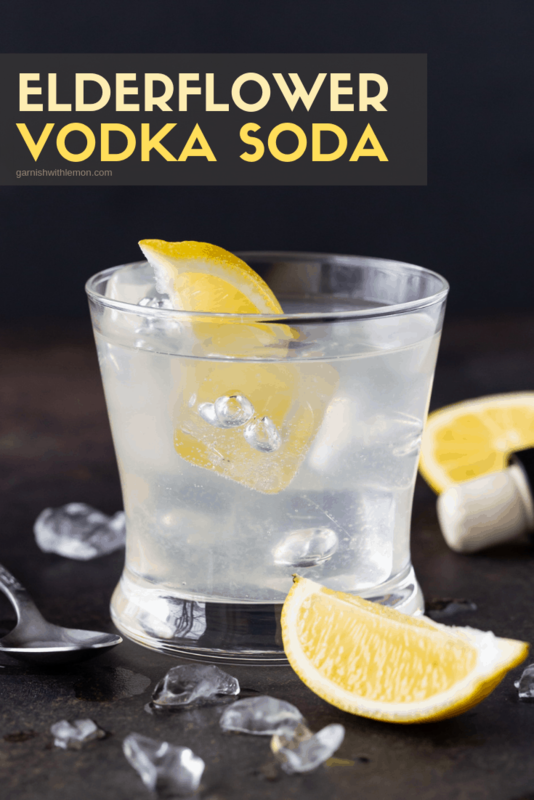 Love a classic vodka soda? You’re going to flip for this Elderflower Vodka Soda recipe. 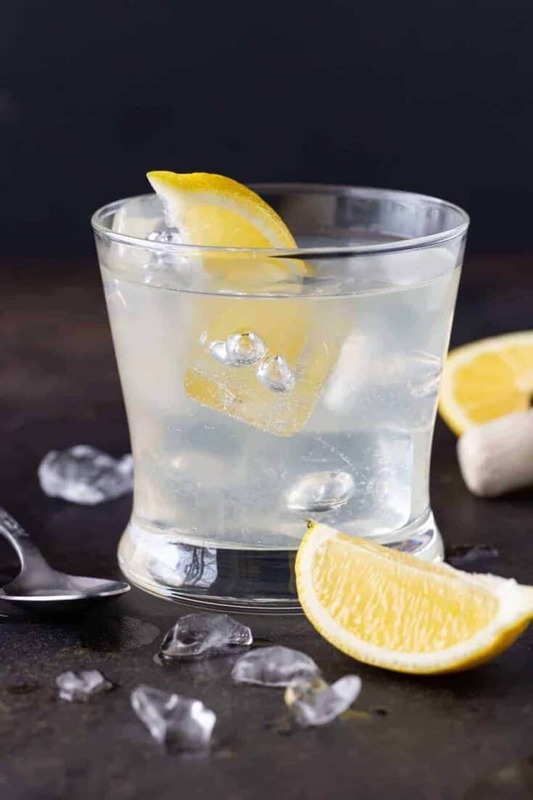 The small amount of elderflower liqueur added to this drink gives it the perfect bit of sweetness to take the edge off the crisp (and sometimes biting) vodka and soda combination. If you’ve never had elderflower liqueur before, you’re in for at treat. It is made from the blossoms of the elderflower bush and has a bit of a floral flavor to it. But don’t be dissuaded by the floral description. 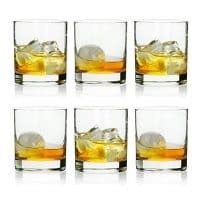 It is SUPER versatile and gives great depth and flavor when paired with a variety of other spirits. Curious to learn more about elderflower liqueur? We’ve got a whole post dedicated to elderflower liqueur and how you can use it. Check it out! What kind of glass do you make a vodka soda cocktail in? 1. You’re making a cocktail, not drinking a glass of lemonade. It shouldn’t be super-sized. 2. A highball glass ensures you are either going to have too much of something, whether it is ice, soda or vodka. All of which contribute to an unbalanced drink. Do you add lemon or lime to this vodka soda recipe? I prefer the flavor of lemon in this drink, but if you’re more of a lime lover (or if that’s all you have on hand), feel free to make the substitution. It’s all about making a drink that works for you! The recipe for a vodka soda cocktail couldn’t be simpler as it only has four ingredients. But like all cocktail recipes, the correct proportions of alcohol are key to an enjoyable drink. Fill a low ball glass with ice. Lots of ice. Not just a few cubes. Fill the whole darn glass. There is nothing worse than sipping on a lukewarm cocktail because all the ice has melted. Keep your spirits proportional. It’s tempting to just pour in an amount that looks good, but you own a jigger for a reason. Use it. Fresh lemon juice is also a must. There isn’t much here, but don’t be tempted to grab the squeeze bottle from the grocery store shelf. The flavor just isn’t the same. Top with club soda and give the whole thing a gentle stir. Garnish with a lemon wedge and sip happy! Some lowball glasses are HUGE. I love the smaller size of these glasses. Perfectly sized for this cocktail! 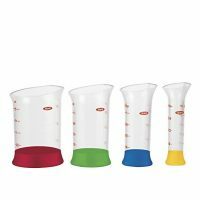 These measuring beakers are essential tools in our home bar. Rarely is a cocktail made without them. 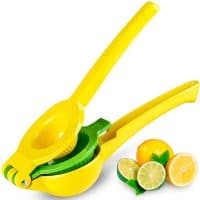 This citrus press makes juicing fresh lemons and limes a breeze. No more excuses for using that bottled stuff! Looking for more easy vodka cocktails? Even classic cocktails can be improved. Take this easy, 4-ingredient Elderflower Vodka Soda, for example. 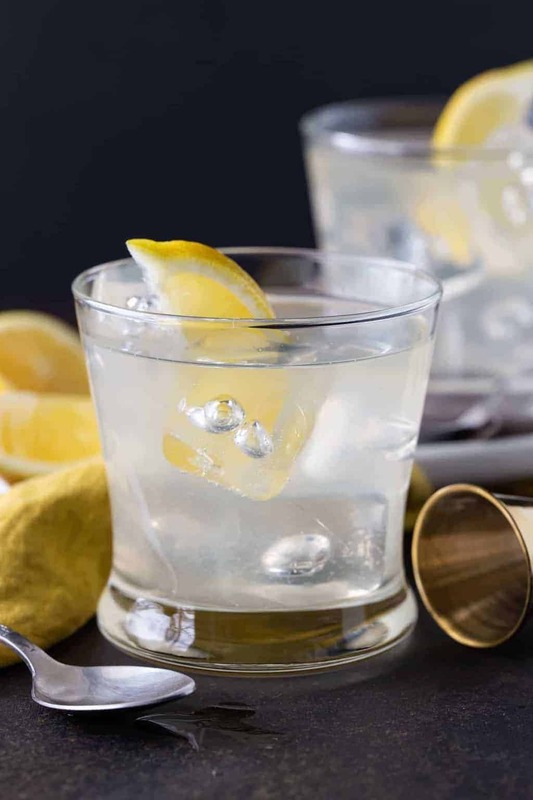 The small amount of elderflower liqueur added to this drink gives it the perfect bit of sweetness to take the edge off the crisp (and sometimes biting) vodka and soda combination. Fill a lowball glass with ice. Add all ingredients to glass and gently stir to combine. Garnish with lemon wedge, if desired.